Received wisdom is that it’s always good to get into a business that makes money on Christmas Day. And it could be argued that Christmas cards fall into that category. 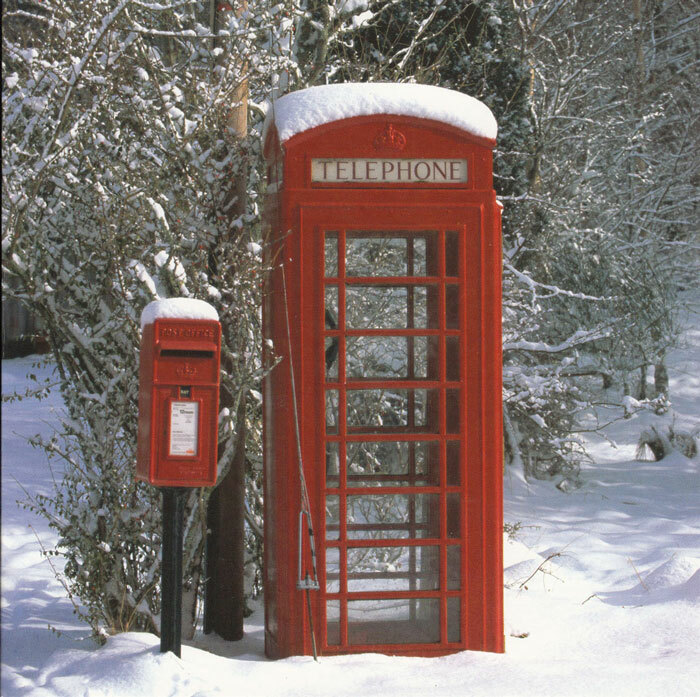 The Greeting Card Association told me that we buy 1 billion Christmas cards (boxed and single) in the UK, at a cost of £384 million. Those figures are staggering – almost as astonishing as it is to find that greetings cards have banded together to form an association, the little tinkers – but doubt me not, for here is the Greeting Card Association’s website, and you’ll see that they’ve been enveloping one another since 1919. Anyway, we might therefore conclude that we Brits each has at least 15 friends and splashes out an average of 0.38½p apiece on cards for them (up a penny on last year, I reckon). Ah, you say, but we should exclude non-Christians and curmudgeons from our calculations. And it’s a fair point, though I can tell you from first-hand experience that some unbelieving curmudgeons certainly buy and send Christmas cards. So I bought some Christmas cards this week, the ones I was going to tippex over and re-use from last year having mysteriously vanished. Boxed and packaged, they cost me between £0.20p and £0.90p per unit, though in fairness they included several that are so naff even I would be embarrassed to send them, even to people on the fringes of the official list, on the cusp of relegation to festive oblivion. Incidentally, I prefer to buy charity cards – so as much as nought point two five pence per card goes to a worthy cause – help for impoverished dentists and lawyers, or whatever. Habitually, a special, single, card is purchased for Head Office. Despite my best efforts, the price of these has steadily crept up over the years, to more than £1.00; in fact, don’t tell, but nowadays it’s hard to find a decent one for under a fiver. One year, I bought a card the size of a small encyclopaedia in the hope that this would be a life-long investment: true, it is lovingly dusted down and displayed each Yuletide; but I still feel happily obliged to buy another. Then there’s the cost of postage. I try to avoid posting the Memsahib’s card (it would look bad, wouldn’t it? ), but a good proportion of recipients live further away and therefore require a stamp. That noble body, the Royal Mail, currently charges a minimum of £0.56p or £0.65p (both up a penny for at least the last two years) to convey what it arrogantly and inaccurately refers to as ‘non-valuable items’. It’s only when you have experienced Royal Mail’s complete absence of customer care that you really appreciate what they mean by ‘non-valuable’. The cost of postage depends on whether you are hoping the item will arrive the following day, or when Royal Mail feel like delivering it, as well as the object’s weight and size. Contrary to urban myth, you do not pay extra to have your mail sorted by people who can read; that is a matter of pure chance. I’m still trying to fathom out why a card and some photos to a favourite aunt in South Africa, which cost almost £5 to post, had to be dispatched about a month before 25th December – given that, wherever you are in Britain, no international airport is more than a few hours away and that flights depart to South Africa several times daily. Do we believe that South African mail is that bad? No, we do not; we believe that someone is grossly inefficient, conning us, or both. Add the cost of postage to the cost of cards and you can see that this market is worth a small fortune. The profit margins on cards must be immense – almost as high as soft drinks in restaurants. I was struck with the comparison that Simon Kelner, writing in 2014 in the Independent, made with a newspaper. He observed that a newspaper contains (and I paraphrase) “many, many thousands of words – the same number that you’ll find in an average-sized novel – all carefully chosen, and then edited. …lots of colour pictures, cartoons, jokes, a crossword or two, and all the news that’s fit to print. What’s more, it arrives fresh every morning.” Quality newspapers in the UK cost over £1 and sales are declining. Individual greetings cards, a piece of lightweight board with a picture or two, which might include a little glitter and bonhomie – perhaps also some gushingly awful verse – cost at least that and, if we believe the Greeting Card Association, sales are increasing. When I ran a business with offices and employees, I used to send and receive scores of Christmas cards. Many came from people I’d never met and, occasionally, were sent to people I barely knew too. It was a ritual – bluntly, a sales opportunity, a reminder that the product or service is there for the buying and that those behind it are warm, cuddly, real, human beings. These days, we still receive what you might call unsolicited Christmas cards – which I swiftly put in a drawer, only to be displayed when neighbours call and we need to demonstrate how loved we are. But, though somewhat more than 15, the number sent is certainly lower than it used to be. Nevertheless, they are dispatched in a genuine spirit of goodwill rather than through any sense of obligation, to people we particularly feel we want to wish well at this time of the rolling year. How many do you send? Of course, as already suggested, not everyone indulges in this festive contact ritual. The friendless, Christmas killjoys, Scrooges and many of those who have another or no faith give it a miss. The greeting card industry already caters for other faiths’ festivals, such as Eid, and could surely take the opportunity to market a few anti-seasonal greetings cards, along the ‘Bah, humbug!’ vein. There you go, Hallmark; don’t forget my percentage, will you? Given a little organisation, including pre-printed address labels (a practice I highly recommend), writing Christmas cards can be immensely enjoyable. Sit down with a comfortable pen, a pile of cards, a little schmaltzy music and perhaps a glass of something – and off you go. Some people enclose a Christmas missive (or missile) in the form of a standard letter – what is known as a ‘round robin’ in the UK. This is a fabulous opportunity to gloat mind-numbingly about our holidays, thus enriching the miserable lives of less fortunate souls reading our litany of pleasure. Or, we can take the opportunity to describe our latest medical ailments in graphically gory terms – and of course recount every minor achievement of our offspring, child prodigies one and all. Once we’ve exhausted the tedious triumphs of Tarquin and Tiaamii, we can move onto the adventures of our pets – and don’t think I haven’t noticed that some of these creatures, including the occasional goldfish, are so smart that they put their names at the bottom of Christmas cards. Incredible! There’s nothing new about the custom of contact at Christmas. In 1843, Sir Henry Cole, a civil servant, inventor and author who went on to develop the Victoria & Albert Museum, was juggling his workload with his habit of writing Christmas letters to his many friends and relatives. 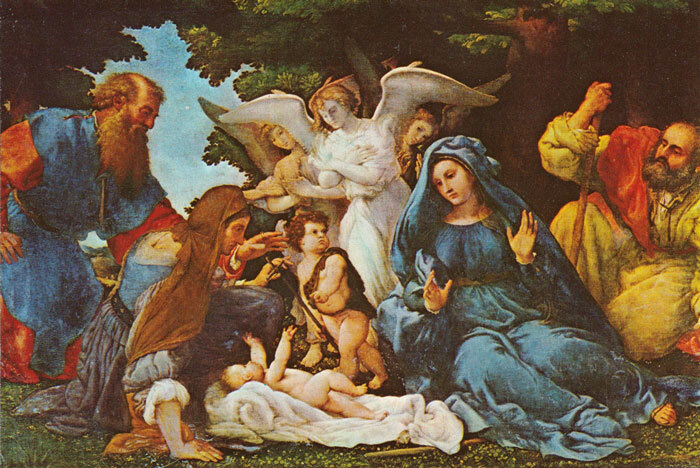 And, while he was struggling, he hit upon the idea for the world’s first Christmas card. Cole commissioned artist John Callcott Horsley to design it, and he came up with a sort of triptych. 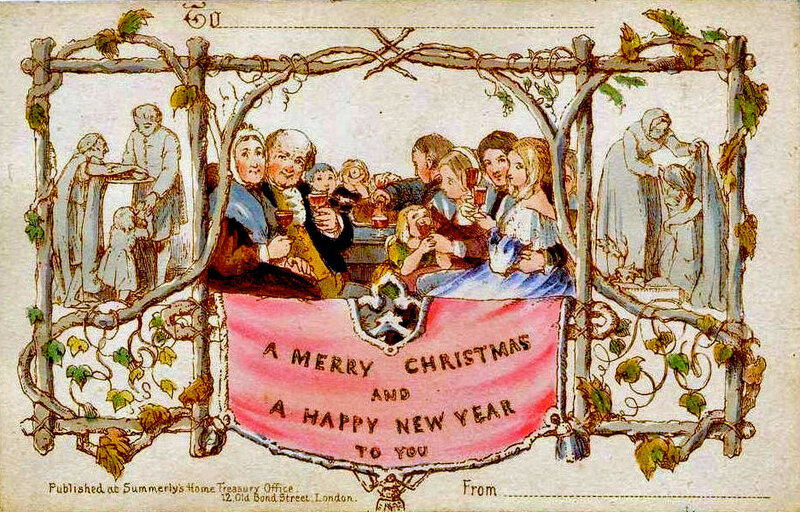 The two outer panels show people caring for society’s great unwashed, whilst the central panel is a sensitive depiction of a wealthy Victorian family enjoying their large Christmas feast. All Henry had to do was fill in the ‘to’ and ‘from’. The illustration also suggested that children were drinking alcohol, which went down like a cow pat in a stable with some, but it didn’t do our Henry – or his Christmas cards – any harm. 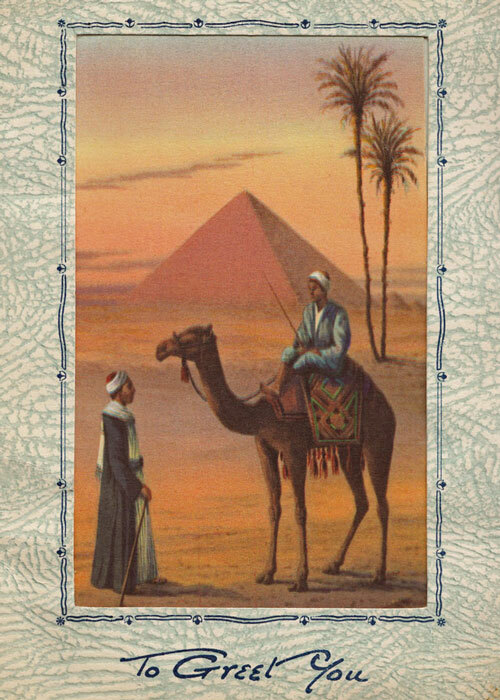 2,000 cards were produced, and sold for a shilling (5p) each. Henry Cole had assisted Rowland Hill introduce the penny post in 1840; you see, Christmas cards and the post office have been in cahoots from the off. Many Victorians cottoned onto this labour-saving idea and Christmas cards steadily gained popularity – though apparently not dramatically and it seems the first Christmas card was not introduced to the United States until 1875. From the 1920s to the present day, Christmas cards have been big business all over the western, Christian, world – and sometimes beyond. It is fun to look at the different designs over the years. Nativity scenes (unsurprisingly), robins and snow seem to predominate. Some are nostalgic; some humorous. These days, almost anything goes – particularly with the advent (Ho! Ho! Ho!) of computer-generated graphics. We’ve mentioned ‘corporate’ cards, but not ‘official’ cards sent by monarchs, presidents, prime ministers and even some pretentious acquaintances. They have their place; and I certainly wouldn’t mind being on Her Majesty’s Christmas card list. It’s easy to criticise the practice, but dropping a few lines to those we genuinely care about can’t be anything but good, can it? Yes, we should all stay in touch more throughout the year; but doing so once, at a special time, is far better than not being in touch at all. And I still think a card has the edge over a quick message on Facebook or Twitter. I have a couple of cards my father sent from North Africa to my mother during World War Two and can only imagine what receiving these must have meant – and probably still does in similar circumstances. So – off you go – write your cards if you haven’t done ‘em yet. Those greetings card execs need to eat. Fun and interesting Mike. I’m one of the ones who still does send a card or two (or 110 this year) and if I had your address I’d send you one to, for all the info I’ve gleaned and fun I’ve had reading your blog. Some are more detailed than others in terms of thoughtful missive (it all depends — is it someone I’m in contact with relatively frequently, online or in person? or a once-a-year, golden oldie?) but all are good. And I have to admit, I love getting mail that doesn’t come in a window envelope or ask for a donation! The history is interesting here, but then I’d expect no less from you in the telling! Merriest! Thanks, Jeannie – you’re very kind! And I agree about the window envelopes! I don’t send cards anymore! I think that most people love to receive Christmas, even those who pretend not to. It means that someone cares about you. We have made our own for many years (printing them on the home printer), most recently using photographs we have taken. I sometimes wonder if the recipients might think this is a bit naff. But whenever I doubt myself I am reminded by a little exclamation of Joy at receiving a personally made card. I think you’re right, CP. I have to admit to being rather a curmudgeon when it comes to sending cards, and so my mailbox isn’t overflowing with any incoming ones anymore. But that’s okay because so many were accompanied by the overly-informative CHRISTMAS LETTER, and I’d rather suffer thumbscrews than read those. I thought I was in the majority about my no Christmas card stance, and now your post tells me that I’m not. Well, that’s good because the Greeting Card Association would be very upset if I were. In any case, have the merriest of Christmases with cards or without. I think the most Christmas cards I ever sent were definitely in primary/early secondary school. Who you sent cards to, and who you received cards from, were fraught matters of great social importance. I remember being distinctly terrified of leaving anyone in my class out in case they took badly. And I chose them especially, too! Hey, Jenny – I was only kidding! 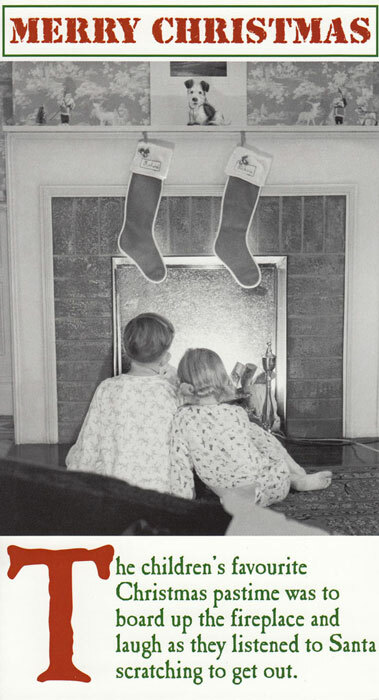 Hope you had a great Christmas. Maybe you should import some and start a shop?! I love cards and you really don’t know how lucky you are in England, the cards there are very beautiful. Guess what, when I visit England, I bring back birthday cards, anniversary cards, get well cards, Christmas cards…you get the picture! I like to buy the ones for different charities, such a good idea. Christmas cards are so much a part of our Christmas traditions and festivities that I’d hate to replace them with greetings by email! As you say, they’ve become a part of our Christmas decorations – and I love sending them as much as receiving them. We also try to buy mostly charity cards in the hope that the tiny amount of money they make per card will mount up if enough of us do the same. The first card you show is my favourite here. I know the younger generations would pull their faces at it, but I love the card’s olde worlde appeal. I’ve seen pictures of Henry Cole’s card several time before and find it intriguing, for want of a better word. Alcohol for children…! I doubt that the outer panels would have put too many richer folk on a guilt trip, but it would be nice to think that a few of them reflected on the plight of the poor. Yes – Christmas cards are part of the mix that makes Christmas. We make our own card each year. A fun photo card and I write a letter. Our letter wraps up our year. I write it in a fun way adding quotes or songs that go with what we have to share. I do hope the Christmas card tradition continues for my boys generation. Receiving that card is special in my opinion. I hope it’s a tradition that survives. I enjoy making and receiving handmade cards each year. Like Marcia, I do keep a list of “received/ sent cards”. Yeah – that’s pretty pointless – I agree with you. Pleased to say I mailed all our cards last week. And I had them printed locally with one of my own pictures. Better to stay in touch once a year than not at all. I made my own this year and had great fun doing it. Of course they’re Yule cards because I’m not a christian and never really was ( in spite of being sent to sunday school) so the commercial ones don’t suit me any way. Oh yes, the Royal Mail customer service levels. I am pretty sure that they are striving very hard with their service levels. To be as awful as they possibly can!!! At least that is the service that I receive, but perhaps that is just me!! I have two great books about round robin letters, I will try and remember to post on the blog about them this week sometime, I am sure yo would find them very amusing, lots of Tamsins and Tarquins!! I’m a secret reader of round robins – but don’t tell, will you? Very nice! I haven’t started my card-writing yet, a job I find a bit of a chore really, but it’s a way of keeping in touch with so many people and I like to receive them too…. Another spot on post. I agree with many of your observations. Each year I have been cutting down on cards mainly due to the expense of the cards and postage. Also we are in touch with friends more often now with emails and social media. I tend to send my cyber friends a Christmas email or digital card and to the snail mail friends I send cards. Must go do them now. I love sending and receiving Christmas cards and I get the Charity ones. It was always tradition in our house (a few years back now) sitting at the writing desk with a glass of sherry and the first mince pie of the season … starting to write the Christmas Cards. Now, I tend to sit at a computer table with a cup of tea … or perhaps a glass of chilled white wine. I do enjoy writing the cards and including little notes, but then have to confess I’m of the older generation!!! Anyway cards are all done now, so onto the decorations this weekend! Wishing you a good weekend and a wonderful Christmas season. You sound far better organised than I am! 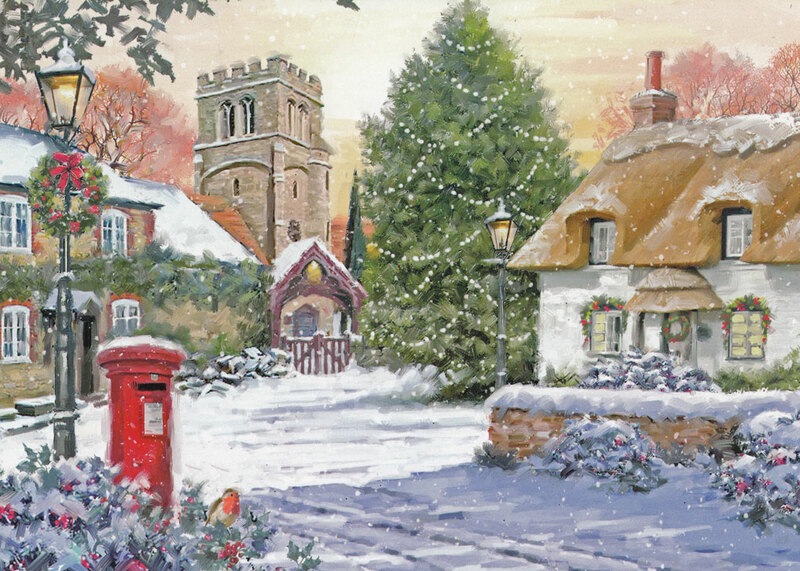 I love purchasing Christmas Cards in England. This year during my trip there I stopped in a charity shop and I succumbed to a face of a lovely sheep, named Baaarney. And so my purchase went to Cancer Research UK. 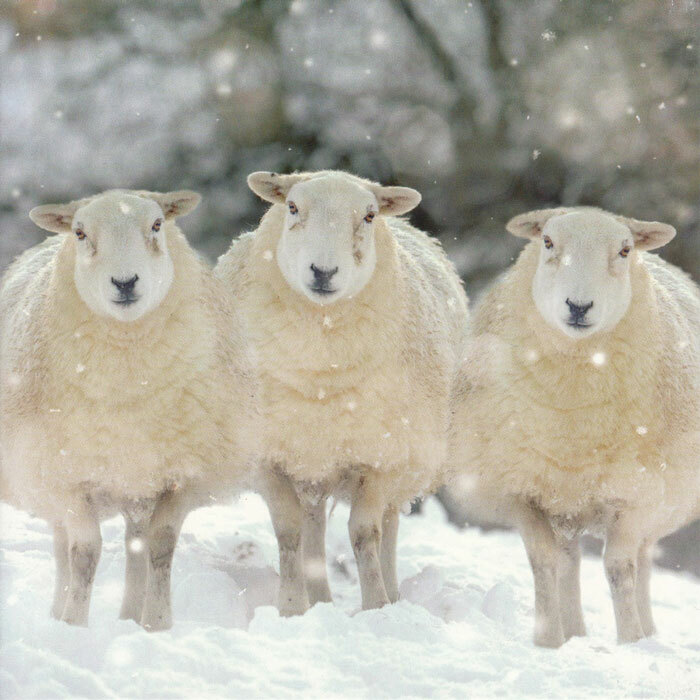 And I’m sure those who receive my cards will enjoy this sheep peeking out from the mantel, table, bookcase, around a door or wherever the receiver displays Christmas Cards. Thanks for your post. I find sending Christmas cards keeps me in touch with friends around the country that I don’t email or text. Yes I know I should but I don’t. Cheap cards are fairly easy to find but the postage is outrageous. Enjoyed your post. Gave me a laugh. Please treat this comment as your card. Merry Christmas Mike. We receive only a tiny proportion of the cards that we used to get – however, I am quite relieved, it is one less chore for me to do. I am still using stamps that I bought about four years ago when they went up by a huge chunk, however, their end is nigh. It would be a shame if we all stopped sending cards. I love Christmas cards, and birthday ones, and “just for fun” ones – I just love getting cards. Of course I know that in order to receive some, I need to send them, too. And when I put my heart and mind to it, I really enjoy sitting down with a pile of cards, my list of names and my address book, a favourite pen and a candle on the kitchen table. This year, while I was writing, a pot of carrots-and-spuds soup (with ginger and freshly ground nutmeg) was bubbling away on the stove, and I knew that I was going to eat it as soon as the last envelope would be closed over the last card. My handwriting is really horrible, and I make a huge effort to write in a legible manner. Therefore, writing cards is really a big thing for me, and I hope my friends and relatives appreciate that I am doing this because I love them. From the moment the cards begin to arrive, I display them on one of the two sideboards in the living room. Right now, there are 8 or so, while I have sent out somewhere close to 20, I think. The ones I like best are kept in a box, and the following year, will be displayed under the glass panel of the desk in the Third Room. So you enjoy the whole thing – as it should be! I send cards that I have made. I enjoy doing it. But the number I receive in return has definitely dwindled through the years. I keep track of who I send to and who I receive from and stop sending if I fail to get one after a number of years. The exception to that is relatives. The young ones don’t bother with cards and the ancient ones are no longer capable of sending them. I keep sending to them anyway. I admire people who make their own cards. I’m far too lazy, even if I had the talent. It’s always nice to receive a card in the mail. I try and make sure any elderly relatives or friends get a card as I have heard them express it’s a joy to be remembered. This is a cheap trick but when the cards go on sale after Christmas, I pick up boxes of them for the following year. Have to cut costs where I can. South Africa – don’t send cards … they won’t get there … the post is maggots, as are most services … I have been reliably told … so email – I don’t like that … but there we are. lovely card at the beginning! Unfortunately the tradition of sending Christmas cards has vanished in my family.. I do send out Christmas cards. That is one tradition that I really stay with. It is the time of year when I catch up with old friends and make new ones. In my experience quite a lot of non-Christians send cards too. I’ve received them from Muslims, Buddhists and followers of the Hare Krishna movement over the years. Even miserly curmudgeons like me send out a few cards (small ones obtained at knock-down prices). That’s my experience too, John. Thanks for your post and you have a ‘Magical Christmas’. We have received some cards here in France with postage of £1.05 on as I suppose that that is the Euro rate. To the UK we are charged €1 for an awful stamp with not only Marianne but a barcode-y thing on nasty just about self adhesive thin paper. The 1st class stamp with the great robin is lovely this year and so much better than any of the ‘I drew this and I’m four years old’ ones. Our cards worked out at 39p each plus the charge of sending them from the RBL to us in their packets. I’m way behind with mine.